Chapter 12 Genome wide identification of binding sites for the nitric oxide sensitive transcriptional regulator NsrR. Sam Efromovich, David Grainger, Diane Bodenmiller, and Stephen Spiro. 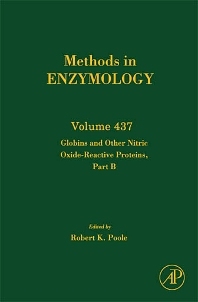 This volume is the second of two planned volumes on the topic of globin and other nitric oxide-reactive proteins.